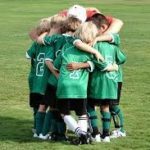 What's Your Sports Parenting Plan for 2019? As you start a new year, I’m sure you have already done some planning. Maybe you’ve set financial goals, fitness goals or career goals. But have you established a sports parenting plan? If you’re looking for a place to start, here are 10 objectives for sports parents to take into 2019. Use them as a starting point, and tweak them to match your own family’s personalities. Focus on the end game: who do you want your child to be when they are done playing sports? Focus on the end of 2019: what do you want to see them improve on this year? Keep winning in perspective. Everyone wants to win, of course. But help your child focus on the importance of teamwork. Don’t sacrifice integrity for points. Be sure that your child has a sports/life balance. Encourage other interests so that they have a life outside of sports. Acknowledge your child’s strengths and never compare them to other players or especially to their siblings. Help them focus on what theybring to the team. Look for ways to help the team and encourage the coach. At the very least, make a point of thanking the people who make it happen: volunteers, officials, and coaches. Resolve to be the parent, not the coach. If your child asks questions, by all means, answer them and give help if they desire it, but don’t turn the car or the dinner table into coaching sessions. This year, buy yourself a comfortable chair or stadium chair and relax to enjoy the game. Refrain from yelling instructions to your child from the sidelines as they play and distracting them from their game. Filter your words. Sometimes all your child needs is a hug after the game, not a lecture. This year, be a gentle encourager and let your child push themselves. When faced with a difficult situation, ask yourself this question: what does my child need to learn from this and what is the best way for me to help them learn it? Write down your 2019 sports parenting plan and put it in a prominent place where you will see it often. Be intentional about parenting your athlete in 2019. I won’t promise you an easier year, but I do believe that it will be more valuable for you and your young athlete.